After10 the Holland regiment had returned to England in 1665 the formal enlistment of regiments of Englishmen in the United Provinces army had ended. That is, apart from the Scottish regiments which continued to serve the States General. The fact that English soldiers were still enlisted in the army of Louis XIV however probably bothered the States General. During the 1673-1674 peace negotiations with England they therefore insisted to be again allowed to levy troops in England. Thus Sir Walter Vane became Major-General in the Dutch army with orders to raise a new Anglo-Dutch brigade which was to consist of 3 English and 3 Scottish regiments (2 of the latter already existed). On 12 December 1673 Sir Walter Vane therefore became colonel of a regiment raised for this service. On 11 August 1674 Sir Walter Vane was however mortally wounded figthing as a major-general in the battle of Seneffe. Meanwhile the regiment saw its first fighting in the siege of Grave, which ended on 28 October 1674. Sir William Ballandyne succeeded Walter Vane as overall commander of the British troops. He was in turn succeeded by John Fenwick. 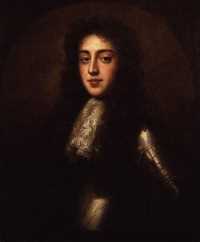 In 1678 Fenwick was replaced by Thomas Butler Earl of Ossory, who died on 30 July 1680, but continued to be listed because of the problems William III faced in appointing a replacement11. As an interim Hugh Mackay commanded the brigade. In the winter of 1674-1675 all British troops in the United Provinces were reorganized. In 1675 there were: the 2 old Scottish regiments; a new Scotttish regiment under Colonel Graham; an English regiment under Disney; an 'Irish' regiment under John Fenwick and an English regiment under Lillingston. Fenwick's would later become the 5th Foot and Lillingston's would become the 6th Foot. Disney's regiment would later become Cutts'. With that the picture of the English regiments of the Anglo-Dutch brigade becomes complete. In order to prove this, we'll Cutt's disappeared regiment is described here. 6 Foot Columbine Lillingston Astley Bellasis Babington comm. The first commander of this regiments was Colonel Disney. He was succeeded by Ralph Widdrington in the winter of 1675. On 3 August 1676 Colonel Widdrington was killed in the failed 1676 siege of Maastricht12. On 1 August 1676 Dolman (the hero of the Medway 1667 or his son), became colonel of the regiment13. Colonel Dolman was killed on 14 August 167614. In 1678 Thomas Butler sixth Earl of Ossory became colonel of the regiment, but he died on 30 July 1680. William III would then have liked to make Henry Sidney, the later Earl of Romney (1641-1704) commander of the whole brigade, but it seems Sidney only became colonel of this regiment. Before the regiment crossed to England in 1688 John Cutts became Lieutenant-Colonel of Sidney's regiment15. Others have Lord Cutts as commander of the regiment16, even though this does not have to be at odds with each other. There are however also secondary sources which state that Cutts became colonel of a regiment newly raised in England. In order to prove that Cutts indeed continued as colonel of one of the Anglo-Dutch brigade regiments we can look at some facts. In April 1690 King William III announced his intention to go to Ireland and a list of the troops he would take with him was published. It's remarkable that of the regiments mentioned in this list three have a strength of 1,280 men, these are 'Barlington', 'Cutts' and 'Talmath' while two English regiments have a strength of 1,450 men17. 13) Journaal gedurende de veldtochten der jaren 1673, 1675, 1676, 1677 en 1678 by Constantijn Huijgens den zoon, Kemink & zoon, Utrecht 1888, under 1 August 1676: Dolman eut le regiment de Widdrington, decedé de sa blessure. 14) Huijgens jr. under 14 August 1676: Le matin le Coronel Dolman fut tué d'un coup de canon dans un sortie que firent les ennemys sur l'attaque de Hornes. 16) E.g. Redefining William III by Esther Mijers and David Onnekink Ashgate Publishing, 2007 and other works have a note that states that Talmash (Tollemache), Babington, Cutts, Lauder and Mackay and Ramsay were the colonels when the six regiments crossed to England in 1688. 18) House of Commons Journal volume 10 9 November 1691. 19) Wilhelm III von Oranien und Georg Friedrich von Waldeck by P.L. Müller, The Hague 1873 v. 2 page 238 has the appendix G: Verluste der Alliierten bei Steenkerken. 3 Aug. 1692, it has Cutts' regiment with its losses. 21) Luttrells diary for 13 May 1699, designates it as the old Holland regiment.